Canvey Island Community First Responders are delighted to be selected as one of the Furtherwick Women’s Institute charities of the year! Members of the group delivered a presentation about CFR’s at one of the Furtherwick WI’s meeting nights. 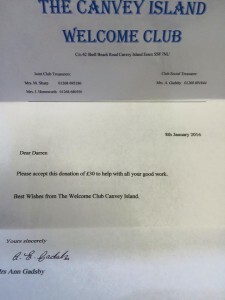 We was extremely delighted to receive a £100 cheque from the wonderful ladies. 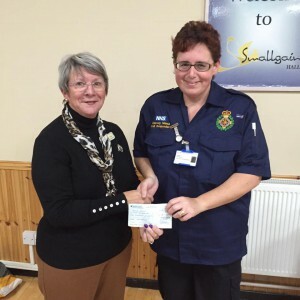 Teresa (Treasurer) receiving a cheque from Jan (Furtherwick WI).